A few weeks ago I posted a narrative about the Battle of Stamford Bridge from a fourteenth-century Old Norse text called Hemings þáttr, which tells the story of a (fictional) Norwegian named Heming who becomes involved in the English battles of 1066. Having seen what happened at Stamford Bridge, we can now look at this text's narrative of Hastings - and what came afterwards. I should emphasise from the beginning that this story is not and does not claim to be in any way a reliable historical source, but it's a fascinating and entertaining text nonetheless. My post about Stamford Bridge has been one of the most popular on this blog in recent months - I don't think I'd be exaggerating to say that more people have read that post in the past few weeks than have (ever?) read Hemings þáttr - and I think the popularity of that post suggests something about the appeal of a narrative like this: historical fiction which explores the implications of a momentous real-life event, drawing out its various possible meanings through a study of character, of the power of words and individual choices, of 'what might have been'. In this text the story of Hastings is a story about loyalty and fidelity: Harold inspires the love and loyalty of his men (and especially of Heming, the saga's main character), even after his death - loyalty of a kind which William, in every other way so successful, can never obtain. On the day William rode out of Rouen, his wife came up to him when he was mounted on his horse, and took hold of his stirrup, wanting to speak to him; but he struck the horse with his spurs and she fell before it, and the horse trampled her down and she was killed at once. He said, "When things are worst, that's when they get better; this means our journey's likely to be successful." King Harold heard this, and gathered his men around him. His army was very badly wounded. The king bid them leave the country if they thought they were not strong enough to follow him, but all said that they would stay with him. The king said, "Give me up if you will not follow me loyally," but they said they would never part from him. He mustered his forces to meet William, and a hard battle began. That was nineteen days after the day when Harald [Hardrada] fell. There was a great slaughter among the Englishmen, because many in the battle were not strong enough to be there. They fought all day, and in the evening King Harold Godwineson fell. But Heming and Helgi and Waltheof drew up their men in a 'swine's snout' formation, and no one could break through it. Then William said, "I will give you a truce, Waltheof, if you will swear loyalty to me, and you will have your inheritance and your earldom." Waltheof said, "No oaths will I swear to you, but I will promise loyalty to you, if you do this." "On those terms, we can make peace," said William. Waltheof asked, "What options will these others, Helgi and Heming, be given, if they make peace with you?" William replied, "Helgi shall have his inheritance and earldom. He must swear loyalty to me, and advise me about those matters in which he is better-informed than I. And Heming shall stay with me, and if he is loyal to me, I shall value him more than any other man." Waltheof asked them, "What do you two plan to do?" Helgi replied, "Heming shall decide." Heming replied, "I know that to you Englishmen it will seem best to put an end to this strife, but to me it seems no joy to go on living after this battle. But I will not keep you in danger any longer than you wish, although I think that for Waltheof this peace will prove brief." Waltheof replied, "Better we be overthrown than that we trust no one! No more men will lose their lives for my sake." They gave up the fighting, and made peace. Then William was accepted as king, and rode away from there to London. Waltheof asked for leave to go home, and received it; he rode away with twelve men. The king watched him go, and said, "It's unwise to allow a man to ride away free who refuses to swear any oaths to us. Ride after him and kill him." They did so. Waltheof dismounted, and forbade his men to defend him. He went to a church and was killed there, and there he was buried; and men believe he is a saint. William, ruthless again. The real Waltheof was too young to fight at Hastings, but he did lead rebellions against the Normans a few years later and was executed for treason against William. After his execution he was indeed venerated as a martyr - 'men believe he is a saint' - although mostly just at Crowland Abbey. On the night after Harold Godwineson fell, an old cottager and his wife went to the battlefield to strip the bodies of the slain and get riches for themselves. They saw a great pile of bodies, and noticed a bright light above it. They discussed it, and said that there must be a holy man among the slain. They began to clear away the bodies where they had seen the light, and they saw the arm of a man sticking out of the heap of corpses. There was a large gold ring on it. The cottager took hold of the arm and asked whether the man was alive. He answered, "I'm alive." The cottager said, "Get the corpses off him - I think it's the king." They pulled the man up and asked if he could be healed. The king said, "I think I could be healed, but I don't think you two could do it." The old woman said, "We'll try." They picked him up and laid him in their cart, and went home with him. They keep him in secret, and lie to King William's men when they come looking for Harold's body, following a trail of blood leading to their house: the old couple say that the woman has gone mad and killed their horse, and that's where the blood came from. (She acts mad to back up the story.) The king's men believe them, and go back and tell William that Harold is dead and his body can't be found. Then the old woman goes to Heming, and tells him that Harold is still alive. The next day Heming came to the king and there was a very joyful meeting. They talked all that day. Heming asked the king to go through the whole country and gather an army. "You'll soon win the land back from William." The king said, "I see that could be done; but then many men would be forced to break their oaths [to William], and I do not want so much evil to happen because of me. I will follow the example of King Olaf Tryggvason, who after he was defeated at Wendland would not go back to his kingdom, but went out to Greece, and served God there while he lived. I will have a hermit's cell built for me now in Canterbury, where I will be able to see King William in the church as often as possible. And I will live only on the food you bring me." This Heming agreed to. The king gave the peasants ample money, and then he went into his hermit's cell. He was there for three years, and no one knew who he was, except Heming and the priest who heard his confessions. Then one day when Heming came to see Harold, he told him he had contracted an illness which would be his death. And one day when King William was sitting at table, they heard bells ringing throughout the town. The king asked why they were ringing so beautifully. Heming answered, "I think a monk has died - the one named Harold." "Which Harold is that?" asked the king. "Who has been looking after him?" asked the king. "If that is true," said the king, "it will be your death! But we wish to see his body." He went to the cell where the body lay. It had been stripped bare, but they all recognised King Harold. The body was beautiful and fair to look on, and they noticed a sweet smell, so that all who were there understood that he was truly a holy man. The king asked Heming what he was prepared to do to save his life. Heming replied, "What are you asking for?" The king said, "That you swear this to me: that you will be as true to me, all your life, as you have been to King Harold, and that you will follow me as you followed him." Heming said, "I would rather die with him than live with you. I might have betrayed you long ago, if I had wished to!" "It is true," said the king, "that if you were killed, there would be one less valiant man in England. I will now make you an offer: you will be the foremost baron in England, you will be in my own bodyguard, and you will be the leader of them all. If you do not want that, I will give you three pounds every year in reward for your service, and you can live anywhere you like in England." Heming thanked the king for his offer, and said, "I will accept to stay in England, but from henceforth I have no desire to own any goods. This I will ask from you: that you promise to give me this very cell, and here I will live the rest of my days." The king was silent for a long time, and then he said, "Because this request is made with a pure heart, it will be granted." Then King William had King Harold's body clothed in a king's shroud, and his body carried out as honourably as possible. He was interred with the greatest honours. Shortly afterwards, Heming went into this cell, and served God there until the days of his old age; and at last his sight failed, and he died in that hermitage. And now there is no more to tell of Heming. I love this ending - so much better than what really happened. 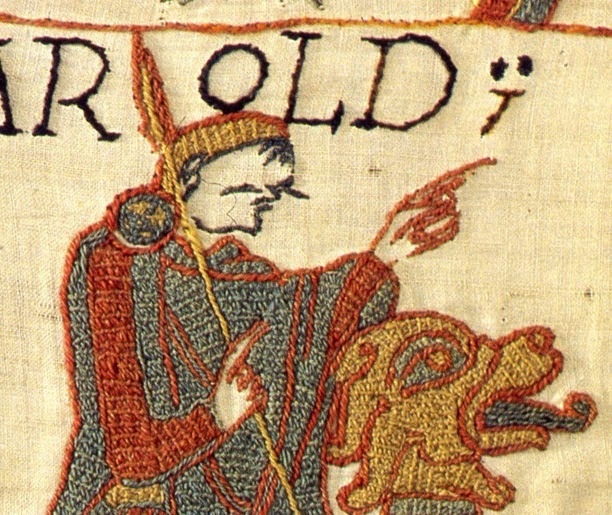 There are various legends about Harold's survival after Hastings: better known than this one is the English story (in the Vita Haroldi) that Harold lived on as a hermit first by the cliffs in Dover and then in Chester, adopting the name Christian, and cryptically telling people who asked him whether he knew Harold Godwineson that "no one was closer to Harold than I'. There are many similar legends about the supposed survival of kings killed in battle, and Hemings þáttr actually draws attention to the motif by having Harold self-reflexively compare himself to the most famous such 'survivor' in Scandinavian tradition, Olaf Tryggvason. Even today this myth seems to have its appeal. It is myth, nothing more, but it's a powerful myth, and it's worth thinking a little about where that power lies. (I wrote most of this post before Harold's supposed survival became a news story; if this is relevance, it's only accidental...) If you're interested in the historical facts, the answer to the question 'Did Harold survive Hastings?' is 'no', and really 'of course not', because the evidence is all against it, and anyway it's impossible to imagine any scenario in which fearless Harold Godwineson would live quietly as a hermit through the anti-Norman rebellions of the 1070s. But once you've dismissed the question of whether it's factually accurate, there are other questions remaining; what these texts do with the myth of Harold's survival is important, and with texts like Hemings þáttr and the Vita Haroldi which deliberately and consciously blur the lines between fact and fiction, 'is it factually accurate?' is not really the most interesting question to ask. For instance, I'm struck by the way in which these texts don't just say that Harold survived: they tell stories about what happened to him afterwards which exploit the rich narrative potential of the situation. They are interested in the figure of a king who has lost his kingdom, strength, status, even his proper name, and yet in that loss acquires a kind of spiritual power over his conquerors. 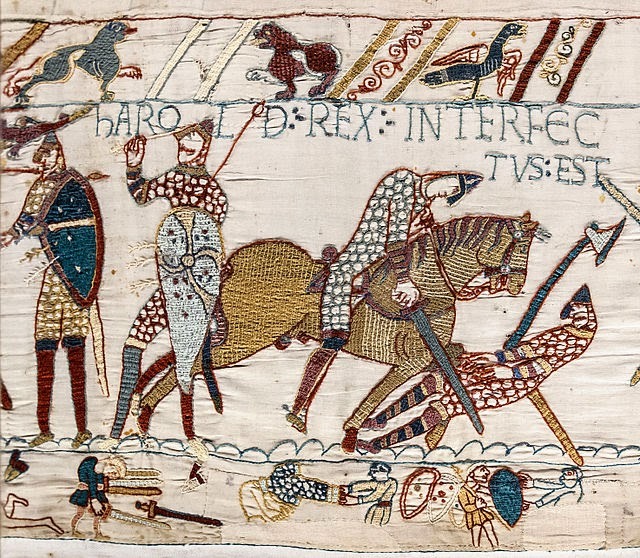 Hemings þáttr imagines one final encounter between Harold and his former enemy, in which the outcome of Hastings is in some way reversed, and justice is restored: in death, Harold is the better man after all. It's a moment of sharp juxtaposition, where the new king is brought face to face with the old - as if Harold is a ghost haunting the new Norman world, a spectre at the feast. The fictional character Heming acts as the bridge between the two worlds; as a Norwegian in England he's an outsider, free to give his allegiance to whomever he considers most deserving, and therefore a kind of barometer of moral and martial worth. His loyalty to Harold is unconquerable: "I would rather die with him than live with you", he tells William. And William, silenced, is forced to confront the purity of Heming's devotion and the evident holiness of the defeated English king. If juxtaposition contributes to the power of this myth, Hemings þáttr's picture of Harold spending the rest of his life in Canterbury is particularly appealing; in this alternative reality we could imagine him living in Canterbury at the same time as the Bayeux Tapestry was being made there, and while Lanfranc and Anselm were debating whether dying at the hands of conquerors could make an Englishman a saint (sort of), and so on. I suspect the Icelandic author only picked Canterbury because in his day it was one of the more familiar English cities to a Scandinavian audience, due to the fame of Thomas Becket - the aim is probably to endow Harold with some of the spiritual power of England's premier site of pilgrimage. 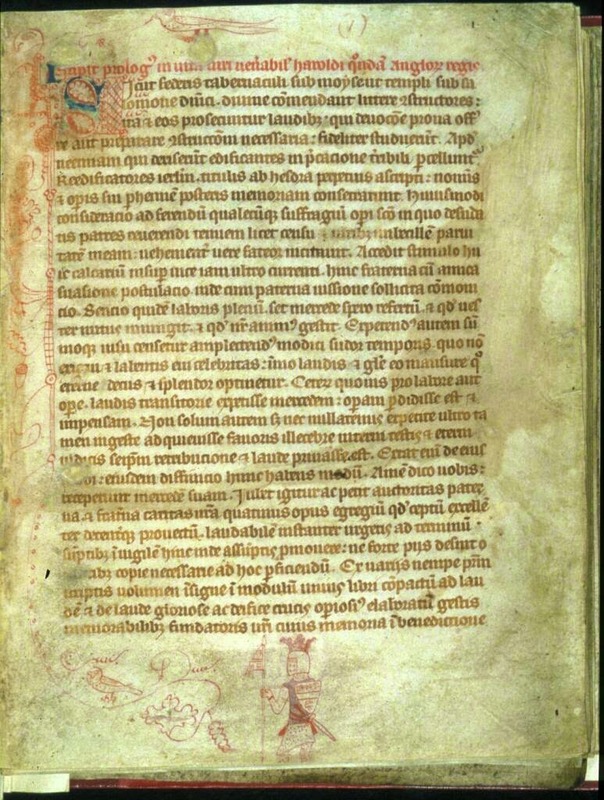 But the Vita Haroldi (being naturally a bit more attuned to English geography) places its hermit Harold within a hugely significant and charged landscape: first on the cliffs of Dover, the very edge of England, then as now an area strongly associated with conquest and invasion; and later on the Welsh border, another marginal space, and the site of the historical Harold's greatest military triumphs. The text has a serious moral point to make about the limits of worldly power and the nature of true strength: by his life of humility, humiliation and loss, Harold becomes the ultimate conqueror. [Harold], already conqueror of the world and of the Prince who is of the world, began to conquer his conquerors by a new warfare and a new art of fighting... He had learned to fight for his lost kingdom, but for a celestial rather than an earthly one, knowing that having obtained it, it could never be lost to any enemy. Vita Haroldi, in Three Lives of the Last Englishmen, trans. Michael Swanton (New York, 1984) p.28. I like to think of the Vita Haroldi as somewhat akin to modern counterfactual history, a thought experiment which explores one of history's perpetual 'what ifs'; as with many medieval historical texts, to take it too literally is to underestimate its complexity. (Basing an archaeological dig on what it says is, therefore, not the greatest idea.) This is not bad history; it's good fiction. I love the idea of storytelling here, and how it has not changed all that much into our own time. I can see how easy it could be to attribute authenticity to the accounts of Harold after Hastings while forgetting that storytelling is not a modern invention and not everything that comes from the past is strictly serious or accurate. I almost see this as an early version of a conspiracy theory, where people really want to believe to the extent of creating entire narratives and hypotheticals to accompany their belief. 'Sometimes, a good story is more fun to read than the truth' - definitely agree! And sometimes a good story can be in a way more 'true' than the truth, which I think may be how the author of the Vita Haroldi might have thought of his story. I loved this blogg on the story of Hemming, and the comment on the Vita Haroldi. Who knows what we may find by the east wall, I still feel justified in searching, chasing down this 'possible' even plausible idea that Harold survived the battle at Hastings. For what? £2000! History is there to to be opened up, examined. It may well prove that the remains at Waltham are the remains of Harold, the butchered remains Edith brought back from Hastings, and there are strong arguments to lead us to conclude this, and yet, if we uncover the remains of an old man with damage to his left eye socket and signs of trauma to his thigh bone, and should a DNA indicate this old man was of the Godwinsson family. Should we then ask, ' how. Plausible the Vita Haroldi? If true or not, I feel it was right to open up this can of worms because I believe we should all ask these questions, and be willing to open these doors even though opening them may lead to criticism . I welcome the interest this has stirred up, it's got people talking about our history, how bad is that?